Additionally please note that our website contains numerous trademarks which can belong both to our company and third party companies. Using the logos, icons and service names is prohibited in any manner that is likely to cause confusion among our customers, and will be considered a violation of copyright law. Our company is located in NSW, Australia and the laws of the state of NSW shall govern any interpretation of these terms and conditions. The information contained in this website is brought to you by PC Pitstop. The articles covered are meant for general discussion only and are not intended as advice. The information provided here do not constitute legal or professional advice nor is it conveyed or intended to be conveyed in the course of any adviser-client discourse, but is intended to be general information with respect to common IT world issues. Whilst every care has been exercised in the compilation of this content, PC Pitstop, in bringing to you, will not be liable for errors or omissions in the material or data in the content, or for any consequences arising from such errors or omissions. This content should not be relied upon as a substitute for detailed advice. Any links to other third party sites are for end user convenience and do not necessarily imply sponsorship, endorsement, or approval by PC Pitstop, which has no responsibility for the content found on such linked sites. The PC Pitstop site may contain content provided by third parties and for which PC Pitstop assumes no responsibility. Your access to and use of this site is subject to your acceptance of this disclaimer. All PC Pitstop logos/images/designs and trademarks are copyright. PC Pitstop prohibits the use of its designs or images for any purpose without prior written permission from PC Pitstop. Unless otherwise noted, all materials on this Website are protected as the copyright, trade dress, trademarks and/or other intellectual properties owned by PC Pitstop or by other parties that have licensed their material to PC Pitstop. PC Pitstop trade marks on this site represent some of the trade marks currently owned or controlled in Australia. The display of these marks and of notices associated with these marks in not intended to be a comprehensive compilation of all worldwide proprietary ownership rights held by PC Pitstop. This website may contain materials produced by third parties or links to other websites. Such materials and websites are provided by third parties and are not under PC Pitstop direct control and PC Pitstop accepts no responsibility or liability in respect of any such third party materials or for the operation or content of other websites (whether or not they are linked to this Website). You acknowledge that PC Pitstop is entitled to require you to remove any link from another website to this Website which you install without obtaining PC Pitstop prior written consent. You will not violate or attempt to violate the security of this Website. You will not hack into this Website, PC Pitstop computer systems or the computer systems of other users of this Website. Hacking means unauthorised access, malicious damage and/or interference and includes, without limitation, mail bombing, propagating viruses, worms or other types of malicious programs, deliberate attempts to overload a computer system, broadcast attacks or any other method designed to damage or interfere with the operation of a computer system or website. From time to time down-time, either scheduled or unscheduled, may occur. PC Pitstop will work within reason to ensure the amount of down-time is limited. PC Pitstop will not be held liable for the consequences of any down-time. PC Pitstop reserves the right to terminate this Agreement at any time. PC Pitstop shall not be liable to You for any cost, expense, or damages whatsoever for terminating this Agreement. If the Product has not been delivered to You prior to any termination of this Agreement by PC Pitstop, PC Pitstop will refund to You any payment You have made prior to termination. 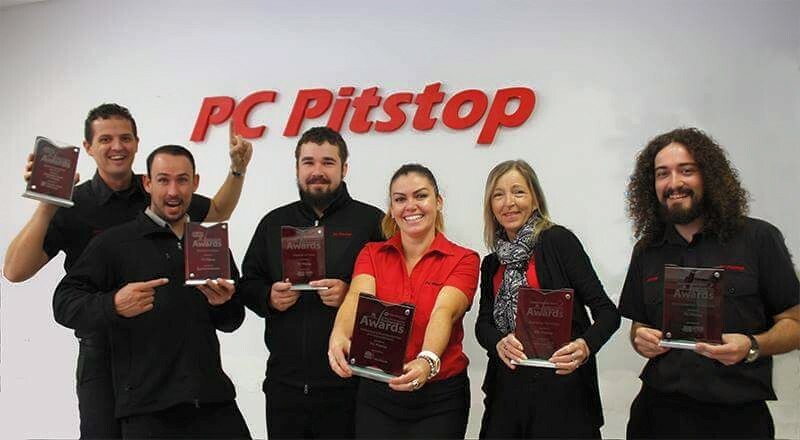 “PC Pitstop” means PC Pitstop (ABN 66 852 204 880 ). 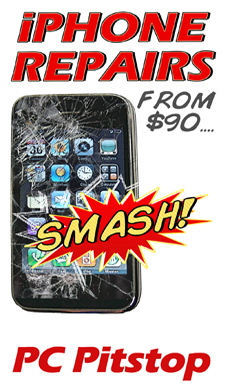 “Website” means internet website with the URL www.pcpitstop.com.au and associated websites. “Online Store” means the shopping cart area of www.pcpitstop.com.au. It is a Condition of Entry to all PC Pitstop stores that all bags are to be presented for inspection when leaving the store. PC Pitstop reserves the right to refuse admittance or service to, or eject from the premises any person failing to comply with health and safety regulations or any persons known to be or acting as a nusiance to general business. Those found entering the premises or harrassing staff after written or verbal notice by PC Pitstop will be dealt with by police according to the laws of New South Wales. Please consult our friendly staff before asking for refunds or credits as we are more than willing to find the right product or service for your specific needs. If you cannot present your PC Pitstop receipt or other acceptable proof of purchase PC Pitstop reserves the right not to offer a refund or exchange. We cannot offer refunds if you simply change your mind. Your Gift Voucher may only be used in store or online at PC Pitstop Australia. If you wish to make a purchase for an amount that exceeds the Gift Voucher, you will be required to pay the excess amount using another payment method. No change can given for amounts under the voucher’s dollar value. You cannot obtain any cash advance with your Gift Voucher or redeem the voucher for cash. Your Gift Voucher is valid for 12 months from the date of purchase. You must present the voucher at the time of purchase to validate the amount or use the code issued. Treat your voucher like cash, lost or stolen vouchers cannot be replaced or refunded. You cannot cancel or change your voucher for a different denomination or type of gift voucher or another tender, cash or discount. Goods that are purchased with the Gift Voucher or in part purchased with the Gift Voucher are subject to PC Pitstop’s refund and credit policy. Looking for the 5 1/2 Point Guarantee Terms and Conditions?